Grammy-nominated Art Lande and the S Band are coming to Baur’s for a unique performance weaving familiar melodies through the landscape improvisation, and allowing us to enter the minds of Denver’s most innovative musicians. They spontaneously compose their music which may sound like jazz, contemporary classical (new music), salsa, Japanese folk, or space funk – it just depends on their mood. Denver Eclectic Concerts and Music Appreciation Society invite you, your friends, & family to join us on this musical journey with Art Lande and the S Band. The S Band is a group of musicians that have played together in many different contexts for many years. They incorporate spoken work into the mix as well as variety of musical genres. The S Band is Khabu Doug Young, guitar, and Bill McCrossen, bass, Mark Miller, woodwinds, and Art Lande, piano and drums. Khabu and McCrossen have returned to Colorado after more than 20 years on the New York scene while Lande and Miller have been playing together in bands like Rubisa Patrol and the Boy-Girl Band for 40 years! Art, Mark, and Khabu have been in the Russian Dragon Band in Colorado since the 90’s among other projects. The S Band takes all of these rich associations and brings them to the present moment of music making. 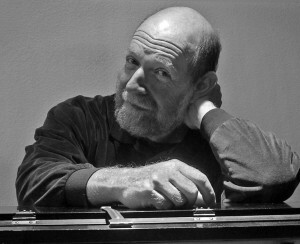 Art Lande is an internationally known pianist, composer, improviser, drummer and educator who has performed with a long list of the Who’s Who in jazz, including Joe Henderson, Woody Shaw, Bobby Hutcherson, Steve Swallow, Charlie Haden, Kenny Wheeler, Sheila Jordan, Mark Isham, Paul McCandless, Jan Garbarek and many others. His band, Rubisa Patrol, was formed in the mid 70’s and worked through 1983, traveling to Europe often and recording with ECM Records. After teaching for three years in Switzerland, Lande moved to Boulder, Colorado, where he played a weekly performance for 15 years! Each week had different music and drew from a large list of different bands, members and seasonal special guests from nearly everywhere. Live performances are not to be missed, an occasion full of musical adventure and inspiration, spontaneity, warmth and soul.